This fun and fruity spritzer, made with Our Family sparkling water, is a refreshing way to ring in the new year! For the spritzer, in a 32-ounce pitcher combine blueberry?pomegranate juice and sparkling water; stir well. Fill 4 tall glasses with ice. 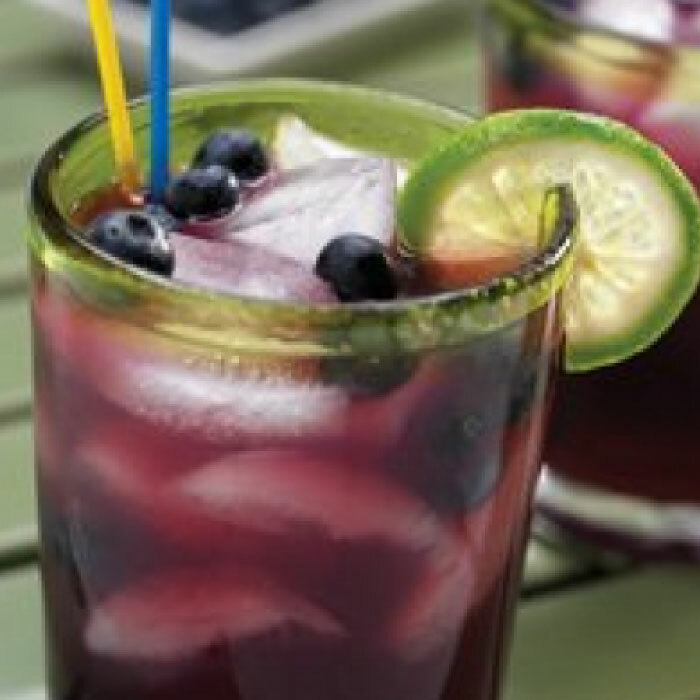 Pour spritzer into each glass; add blueberries, garnish each with a slice of lime, and serve.